This is just a quick pop in today. 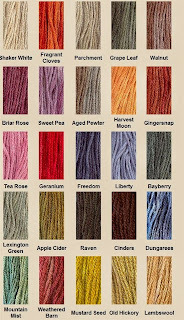 I wanted to show you some of the colours of the hand dyed shaker threads that you can buy. You will have to order in America as to my knowledge no one stocks these in England. ( if anyone knows different, please get in touch) The internet makes ordering easy and you can pay with a card or pay pal and they arrive at your door. 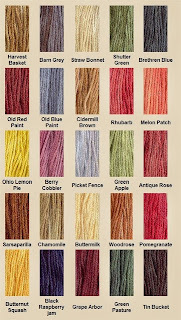 As we know threads are not cheap but you can build on the amount you have and then mix and match. 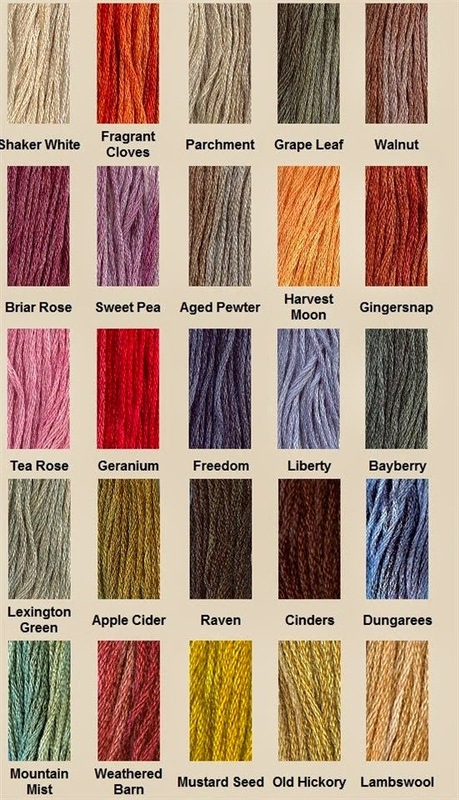 Not only the colours of these are amazing but I get caught up in there names!! Enjoy your look and enjoy your weekend! These are just a few of the colours you can get. 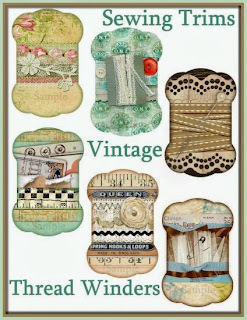 I liked this idea and a great way to wind thread when in use. Then add some stunning vintage mother of pearl buttons!